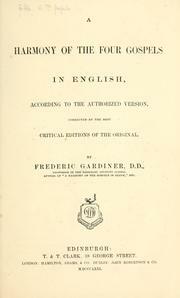 1 edition of A harmony of the four Gospels in English, according to the a... found in the catalog. Add another edition? 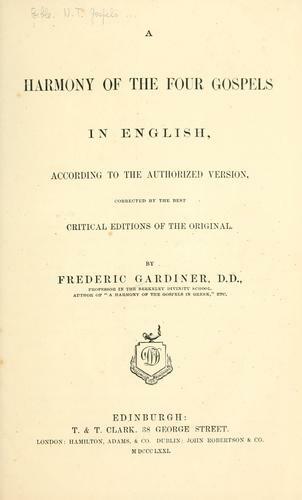 Published 1871 by W.F. Draper, T. & T. Clark in Andover, [Mass], Edinburgh .